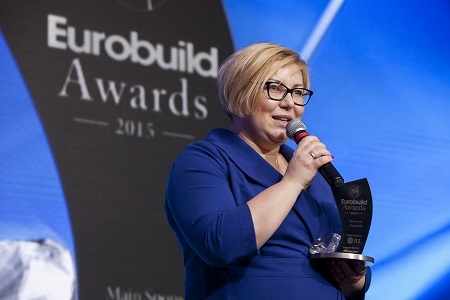 Bydgoszcz won in the category “Most investor-friendly city” during the 6th edition of the competition organized by the prestigious magazine Eurobuild. “Eurobuild Awards” are dedicated to companies operating in the construction and commercial real estate market in Central and Eastern Europe. The aim of the “Eurobuild Awards 2015” project is to select the best companies of 2015 and investment projects realized / opened in 2015. In the category “Most investor-friendly city” experts nominated 10 Polish cities Bydgoszcz, Kraków, Gdańsk, Poznań, Lublin, Szczecin, Łódz, Warszawa, Katowice, Wrocław. Magazine readers chose the winner in the vote. 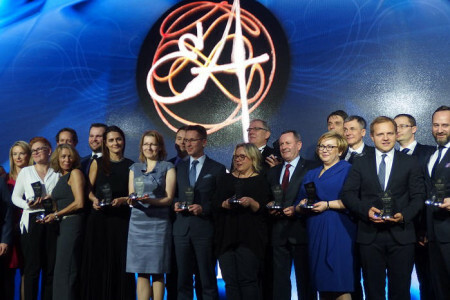 – This award confirms that Bydgoszcz puts great emphasis on professional services to investors. Established two years ago Bydgoszcz Regional Development Agency helps them at every stage of the ongoing projects. Our model of cooperation works very well. The Eurobuild Award, as well as Bydgoszcz first place in the independent World Bank report, “Doing Business in Poland 2015” for efficient entrepreneur service confirm the above thesis – says Rafał Bruski, the Major of the City of Bydgoszcz. Eurobuild is a prestigious magazine and portal dedicated to commercial real estate. 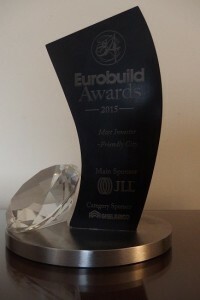 „Eurobuild Awards” is a unique initiative, which quickly became a part of the calendar of one of the most important events for the commercial real estate market in our part of Europe.